Merrimack hockey fans will see even more instruments, equipment and students in the Pep Band’s section of Lawler Arena this year, adding to their sound and ever-growing abilities. A new sound system with microphones will enhance the Pep Band’s sound and allow for recordings of the group. Instruments such as a bass synthesizer were added to their collection, which will give the band a well-rounded tone and a wide range of fun effects to use while they’re performing. Ten new songs, like Imagine Dragons’ “Believer” and Cascada’s “Everytime We Touch” will give the audience a wider range of tunes to enjoy. Even more athletic events have been added to the group’s schedule. 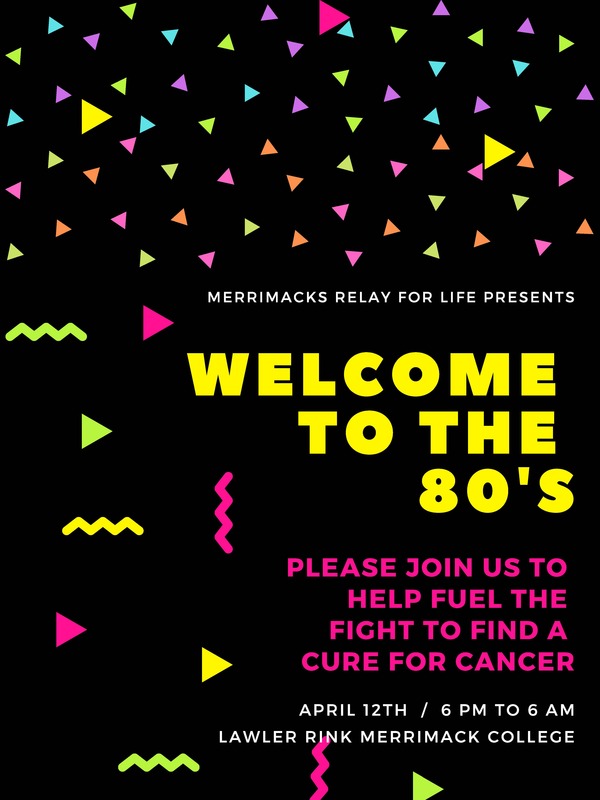 The Pep Band will be performing at all Merrimack home football games this season, a new addition to their performance line up. 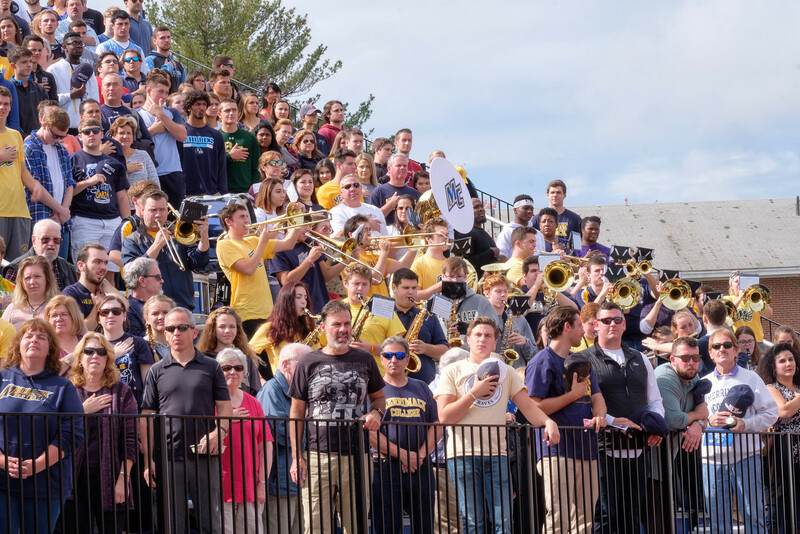 With all of these new changes, the band will be able to add even more energy to the exhilarating and rousing atmosphere in Lawler Arena and Merrimack Stadium during home games. 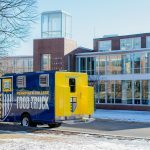 The reason for these improvements is because the band is a representation of the Merrimack community and the Merrimack student body. 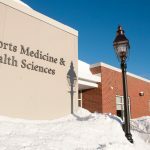 With an average of two to three athletic game performances in one weekend, they are by far the most public student organization. This year, Pep Band director Paul Geresy says the band has “been making progress to assemble an instrument library to fulfill the needs of our band, and also to continue improving what we’re able to do and improving our quality of sound.” The growth of the band is even more important now that Merrimack is advancing to all Division I sports. It’s an exciting time for students in the group. Pep Band President Anthony Brown knows that these advancements will not only benefit other students in the Pep Band, but other music students at Merrimack as well. “Students will have access to different musical instruments and technology they hadn’t before. 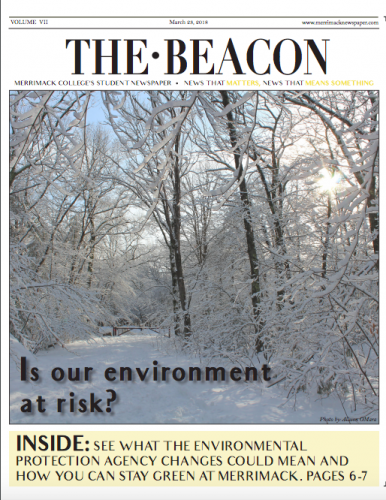 It gives [them] an environment to grow and flourish in whatever way they want to,” says Brown. Even student athletes on the teams that the Pep Band plays for are thankful that they have a reliable cheering section in the Pep Band. “I know that I get hyped up when I hear them playing songs that I recognize,” says Paige Sorensen, defensive player for the women’s hockey team. Sorensen thinks the Pep Band’s support plays a big part in the team’s success. Future students in the Pep Band will have a lot of exciting things and even more changes to look forward to. Geresy knows this, too. What does the future of the band look like according to him? “More of everything. Bigger. Louder. More songs. More fun,” he laughs. As a graduating senior, students like Brown will not be here to witness the continued rise of the group, but that does not mean their passion for Pep Band will diminish. “I can’t wait to see where this group goes in the future,” says Brown.